our experienced attorneys have the resources and determination to provide you resolute representation. Johnson Janklow Abdallah, LLP, represents people who have been personally injured or lost a family member as the result of property owner negligence. The firm has earned national recognition as one of the region's leading personal injury litigation firms, handling all complexities of cases, from slip-and-fall injuries to cases involving multiple levels of liability on the part of designers, construction professionals, and property owners and managers. Johnson Janklow Abdallah, LLP, attorneys represent clients in premises liability cases on a contingency fee basis. With a contingency fee, you will not be charged attorneys' fees to investigate, prepare and settle or try your case in court. Because you pay no money unless you recover money damages, it makes sense to hire the leading litigation attorneys in the state. Premises liability generally refers to injuries that occur to victims as a result of unsafe conditions on another person's property. Negligent premises conditions can exist in just about every type of building or open space, including homes, apartment complexes, theaters, shopping malls, sports facilities, amusement parks, schools, hospitals, government buildings, commercial buildings, farms, and other open land spaces. 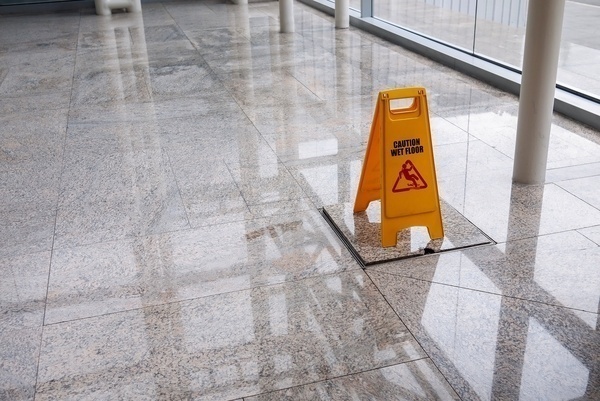 While there are many different types of premises liability cases, slip and fall and trip and fall are the most common. In a slip and fall scenario the victim may slip on a wet area on the floor causing injury. In a trip and fall the victim may trip over stairs, debris, or uneven pavement causing injury. The owner of property has a legal duty to use reasonable care to keep the property safe from dangerous conditions. However, other persons, such as a tenant, the manager of a property, and contractors working on the premises may also be responsible for maintaining the premises in a safe condition and could be liable for injuries which occur on the property as well. Often the determining factor is who has the right to control the premises where the accident occurs. If a party has the right to control property, then that party must exercise control in a reasonable manner to prevent foreseeable injuries. If multiple parties have the right to control the property, there may be multiple parties who are liable for an injury. At Johnson Janklow Abdallah, LLP, our experienced attorneys have the resources and determination to provide you resolute representation. If you or a loved one has suffered an injury on premises owned and/or controlled by others, please call 605-338-4304 or contact our office via email today to discuss your legal options. Johnson Janklow Abdallah, LLP, represents people who have been personally injured or lost a family member as the result of property owner negligence.